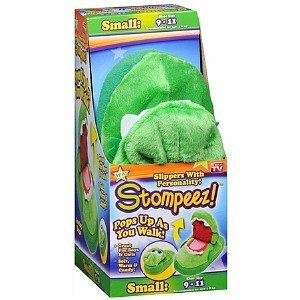 Kids love Stompeez™ Slippers, As Seen on TV, the super-cute, super-fun slippers with personality! 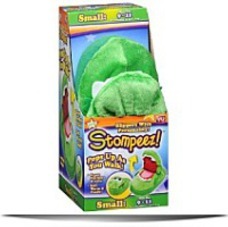 Dragon Stompeez™ is accessible in Small size only Just walk, jump or stomp and the animals pop to life. ™ are irrestible to kids. Spot Wash. Cozy, comfy and colorful, Stompeez! Imported in soft plush polyester with gripper sole. Not recommended for children 3 and beneath.